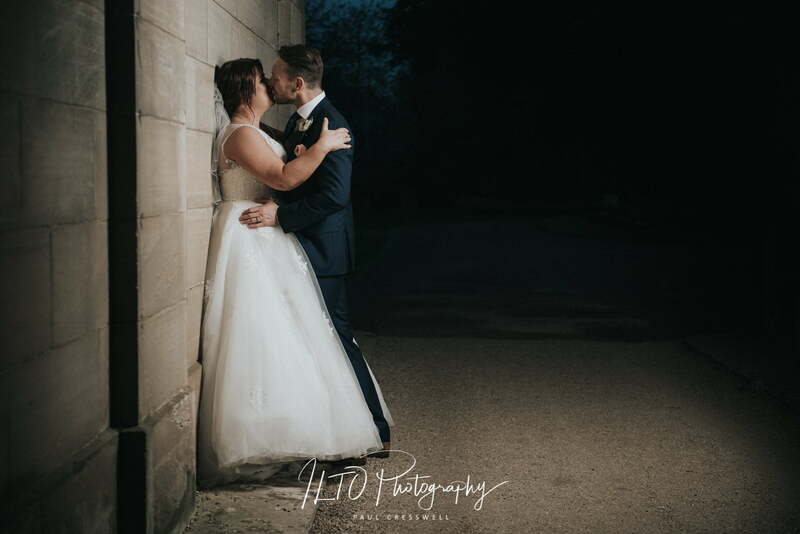 Doxford Hall – You know we travel allover the place doing what we do, so I’ll spare the details and just say we headed “proper north” to spend the day with Vicki and Andrew – so I’m adding Wedding Photographer Northumberland to my CV, alongside Leeds Wedding photographer! We drove up the long driveway of Doxford Hall with smiles on our faces – what a venue! It dates back to the early1800’s and feels completely relaxed, exclusive, unpretentious and sumptuous… this extends to their staff too… except the sumptuous part, as that would be weird! It’s honestly perfect! Without doubt, Vicki had the biggest, lightest and busiest room we’ve ever had to catch prep shots in. It was organised chaos, with at least 10 of them in there, all getting ready at the same time! I needed a break already, so I went off to find Andrew the groom ….. which was harder than you’d think! It wasn’t difficult because the venue was massive, oh no! It was more difficult because nobody knew where he was!! No need to panic yet though, as we still had plenty of time. Roll forward 2 hours and there is still no sign of him… now it’s time to panic! All this time I’m ducking in and out to make sure Clare is coping (which of course she is!) and hunting for Andrew. With just over an hour to go, it turns out that he’d gone for a run – as you do! The title of this page should have said Wedding Photographer Northumberland… and surrounding area’s! Just when I’m picturing him climbing out of a ditch in a country lane, he opens the door of the cottage they’re in with a broad smile – so I give him a quick slap and then I start his prep shots! The ceremony was over in no time as always, and then we dodged the rain to get some formal shots on the steps of the main house. Next! The drinking started at a pace, and after we’d got a few cheeky shots of the bride and bridesmaid, they sat down for their wedding breakfast. Bellies filled, we went outside into the start of the night to get a few shots of Andrew and Vicki together. Like a lot of people do, they threw themselves into the shots, which is why they’ve come out so well – we love these guys to bits, and we love their pictures just as much! I could probably write a fair bit about this wedding, but I’d like you to look at their pictures, and not read my words, so I’ll leave you with this. Once we’d got the fireworks shots in the bag, we left, just in time to avoid the angry farmer, but just in time to see the fire engines arrive to rescue a guest from the lift! What a day – just how us we like them!